This pattern is a 1 yard wonder! 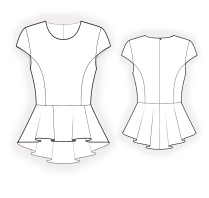 The peplum takes up most of the fabric, but it is possible to lay the bodice and sleeve pieces around it. 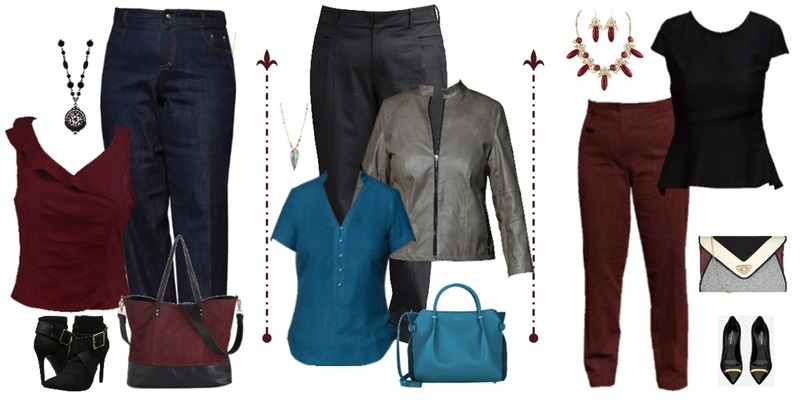 With a number of peplum patterns coming out lately, I decided to give this a go. I love the way the peplum sits. It doesn’t have as much fullness as the BMV patterns I’ve looked at and this suits me much better – skims rather than flounces. I wasn’t sure how the hi-lo hem would go as side-on they can just look ill-fitting ( like the hem is being raised because you need an FBA) but it doesn’t look too bad. The length on the front and back is very flattering. I also like the custom fit on this pattern, as I normally have to make a lot of adjustments for being short with narrow shoulders. It is so nice just to trace out the pattern and sew. I may sew this again with a variation in the collar or sleeves. 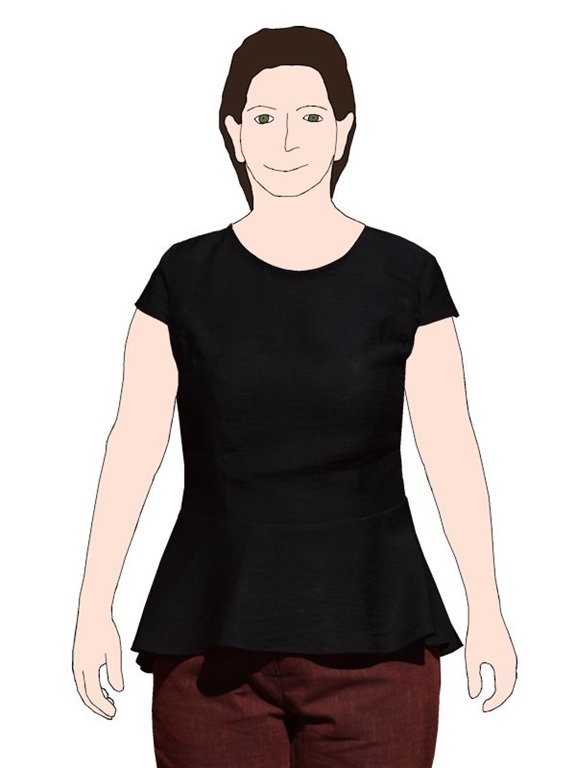 Pattern Sizing: custom sizing based on your measurements. 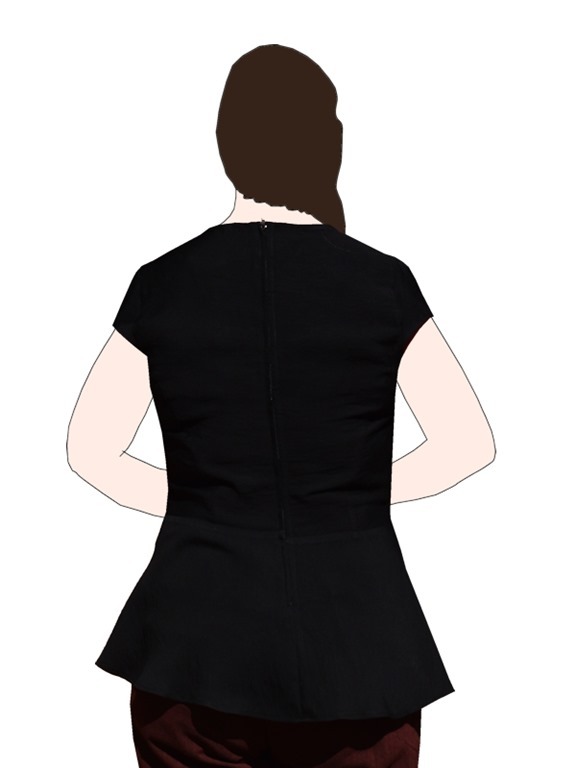 I selected narrow shoulders and low waist in the alterations options. I did not need to make any changes to the pattern as supplied. Instructions: The instructions are good compared to other Lekala instructions I’ve worked with. 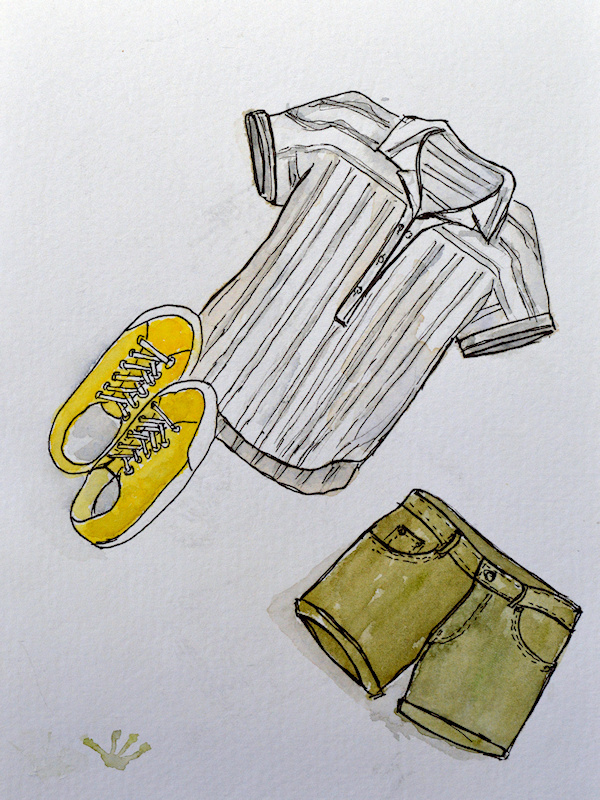 They are very brief, similar to Burda instructions and would not suit a beginner. Fabric Used: The pattern is designed for “blouse fabrics”. I used silk twill which had a ripple texture – lovely to wear but very tricky to sew. I managed to lay it out on 1m of fabric and still be able to cut the pocket bags and linings of for a pair of pants. Cost $20 (fabric $16, zip $2, pattern $2) + thread & bias tape from stash.